Even during the worst of my cold last week, I didn't turn this green! Susan of Creative Safety Pins stuck some of the illest items together, including an oak leaf greenman mask, a crushed velvet festival dress and my Peridot dragon magnet. Cats Just Want to Have Fun! I never get tired of that vivid green! Thanks for a great link up as always. 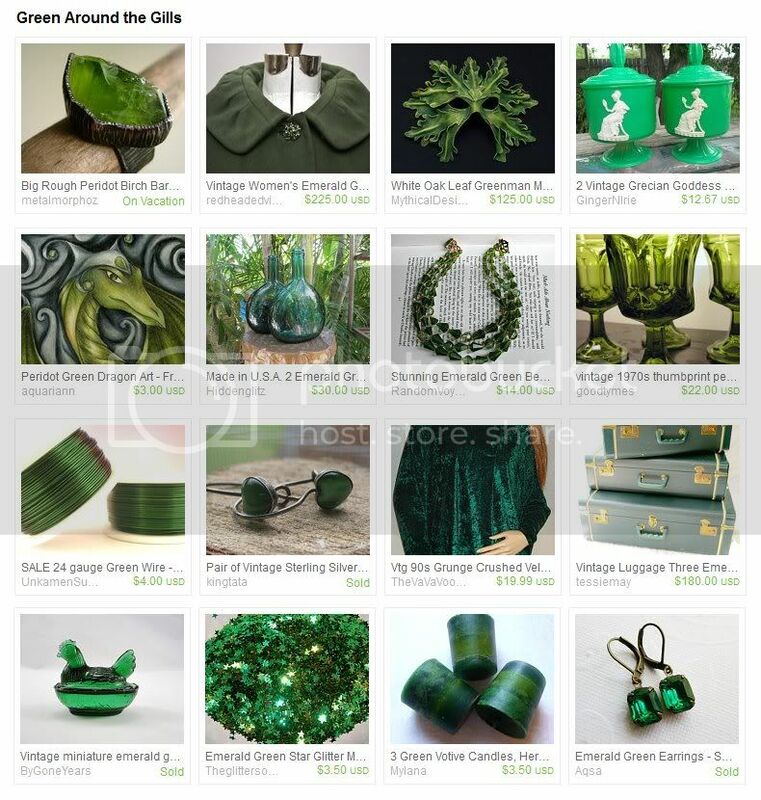 Lush, beautiful greens in the Green Around the Gills Treasury! Clever title too. I added one that I curated for Spring in the Southern Hemisphere.